Quick, How Do You Pronounce Imgur, the Site With All the .Gifs? Well here's something. I've been mentally mispronouncing Imgur, the ubiquitous home to image macros, rage comics, memes and that other thing I've been mispronouncing forever, .gifs. Turns out Imgur is pronounced "Imager." (I'd been doing it phonetically: im-GURRRRRR) Thank goodness I had no occasion to say it out loud. But if people aren't saying "Did you see that thing in Imgur the other day," the same way they would about The New York Times, well, so what. As this profile by BusinessWeekBusinessWeek points out, Imgur does better traffic than the Times—120 million monthly unique visitors. Reddit, for whom founder Alan Schaaf created imgur back in 2009, is a still tremendous user of the service and driver of traffic to it. 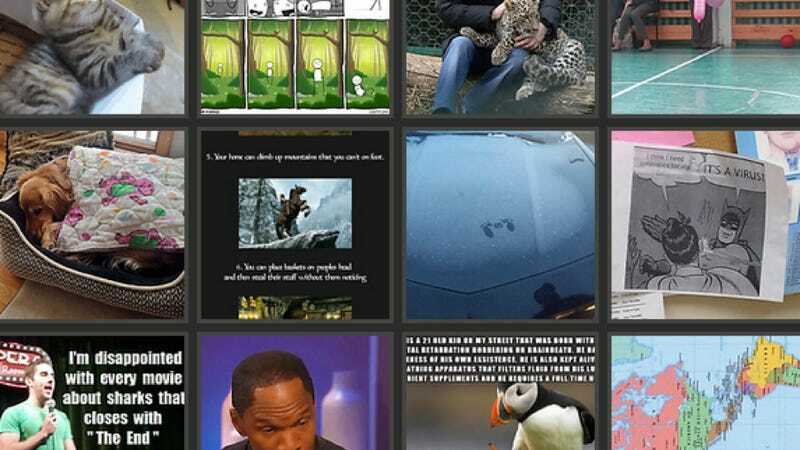 Imgur has grown even larger than Reddit, however; a gallery Imgur itself curates draws another 77 million views a day on its own. As you can imagine, this is a far cry from the site's origin, when it ran off user donations for its first six months. It's doing very well with the ads it now hosts, thank you very much.